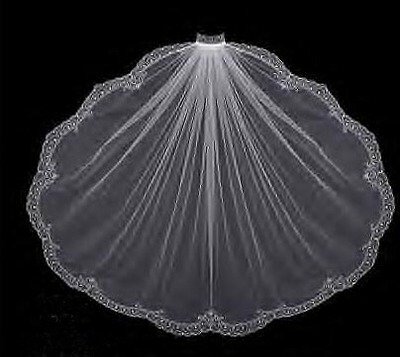 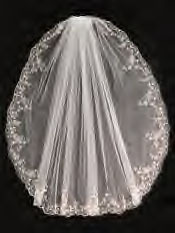 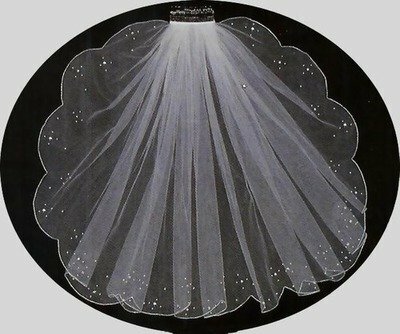 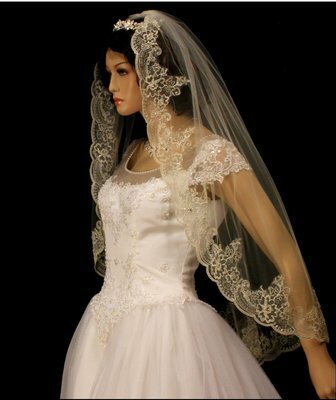 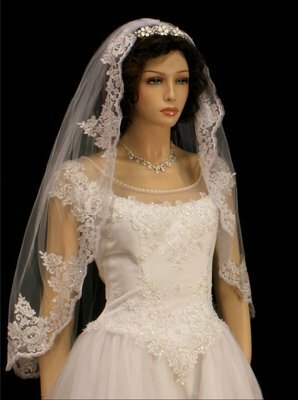 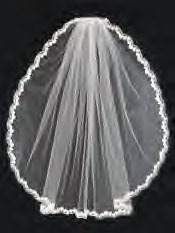 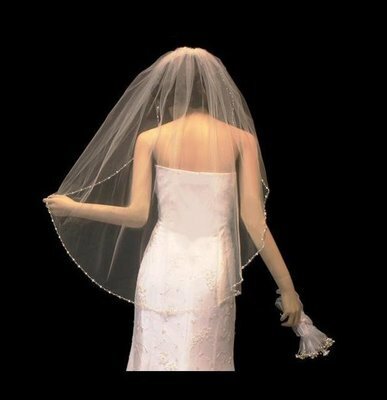 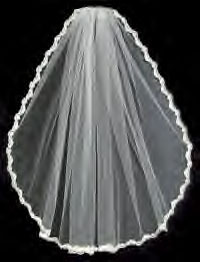 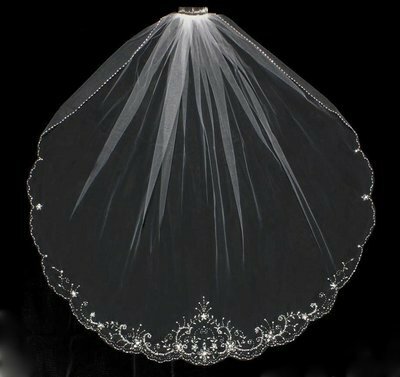 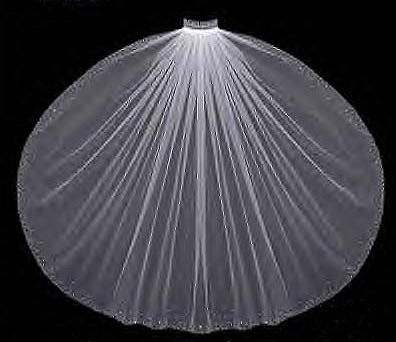 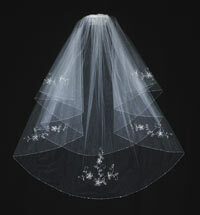 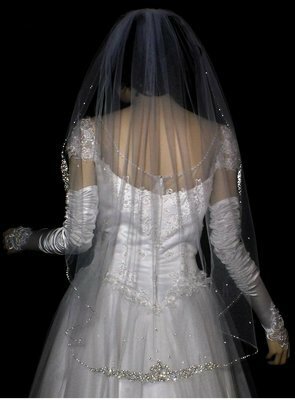 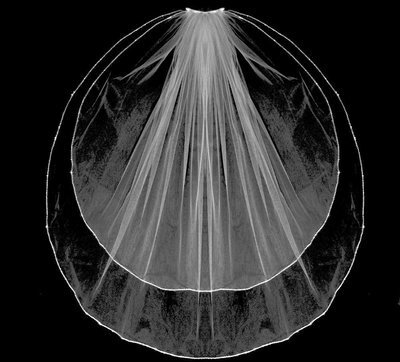 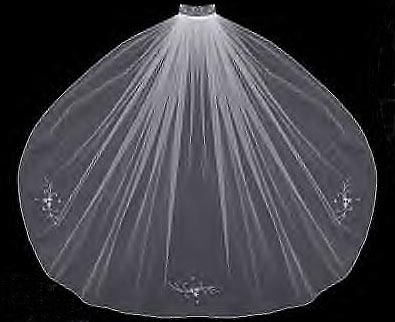 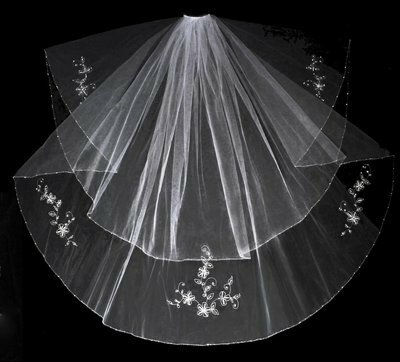 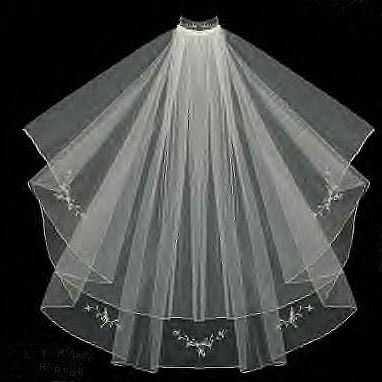 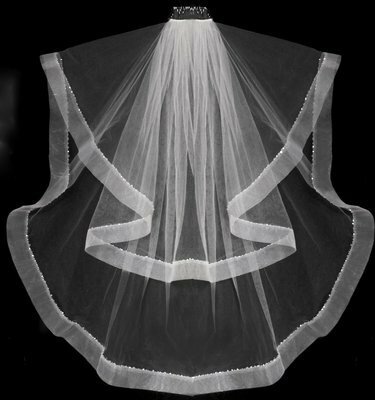 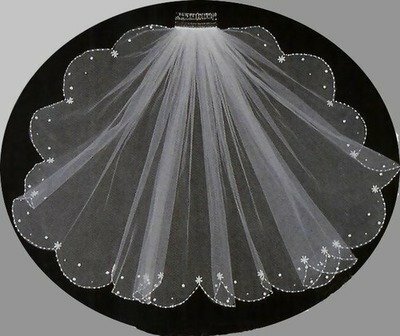 Please take a moment to browse through our online catalog of specialty bridal veils. 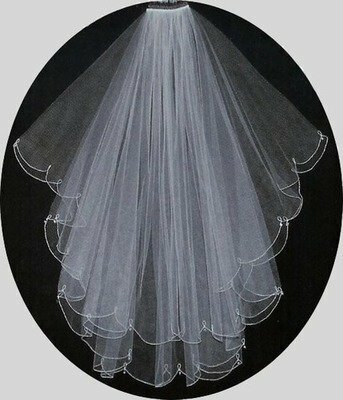 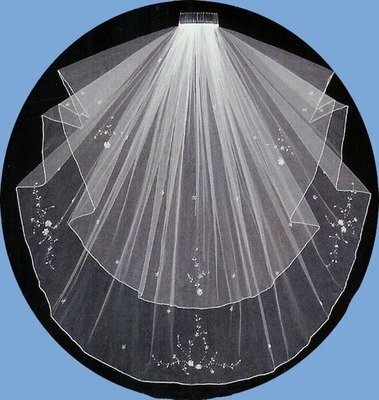 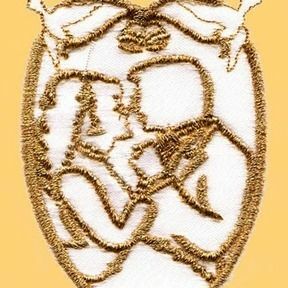 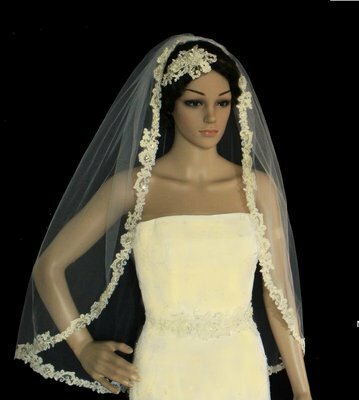 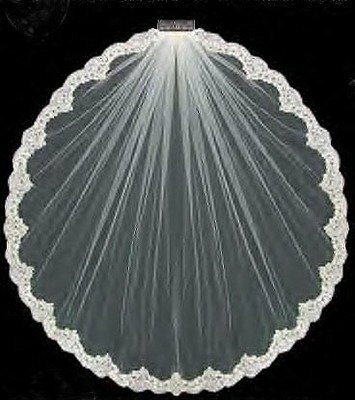 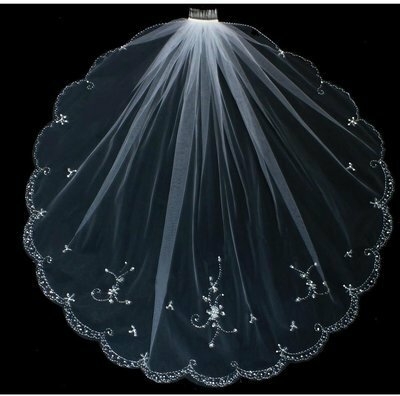 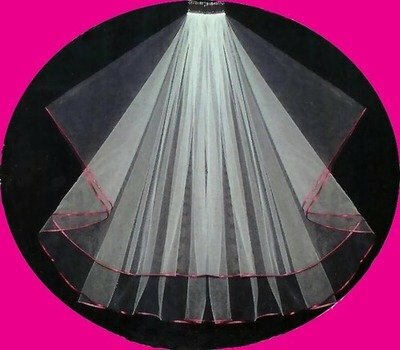 Here you will find wedding veils that feature gorgeous laces, adornments, and unique edge cut styles, all at wonderful prices. 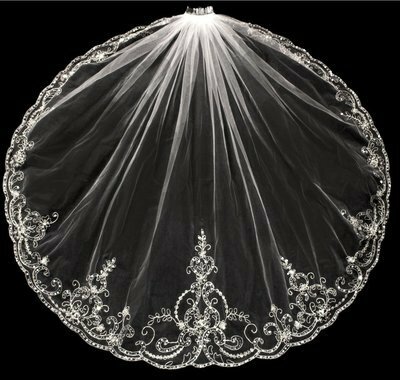 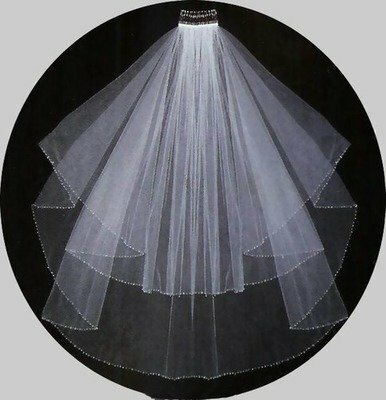 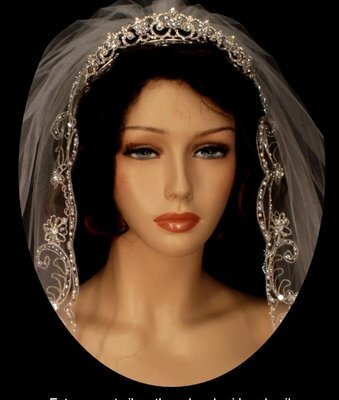 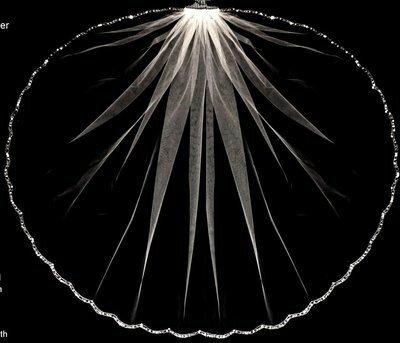 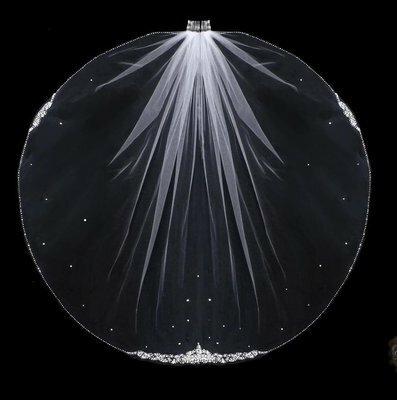 Our Veils are available in (WT) White,(IV)Ivory, (DW)Diamond White, (CHMP) Champagne and most are attached to a comb for ease in wearing with any hair style. 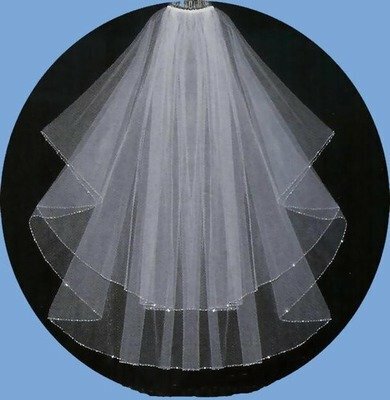 We offer multiple lengths, including shoulder, elbow, fingertip, waltz, and cathedral. 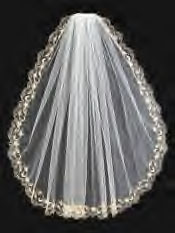 If you do not see what you are looking for, please do not hesitate to call or email us.